Ohh, yes. 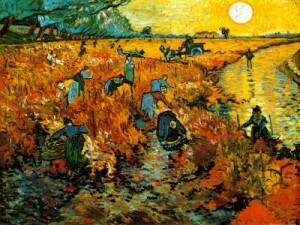 And I think van Gogh just gets more complex and interesting as the art world evolves! Thanks Ann, for following the blog! What a great name, Paing and Gogh! Thanks Lou for writing! Misunderstood indeed, Nancy! I just got a comment from Richard….a story about van Gogh. I am going to post it. So fascinating Thanks for your comment! I remember an exhibit in Amsterdam that showed how he bundled a wide variety of strands of colored yarn haphazardly together in a large softball sized ball to sit next to his palette, after he had consciously decided to change his palette away from earth colors, apparently to inform new color choices. What a fascinating story, Richard! Thanks for sharing it! One of the greatest painters ever! Too bad he was never recognized during his lifetime. I imagine many gallery owners, museum curators, wealthy elites, etc. considered him unqualified because he was self taught. Not really too different from today. Haha, Suzanne. I totally agree about the hubris of the art “elite” today! Thanks for the comment! Hi. Kirby. 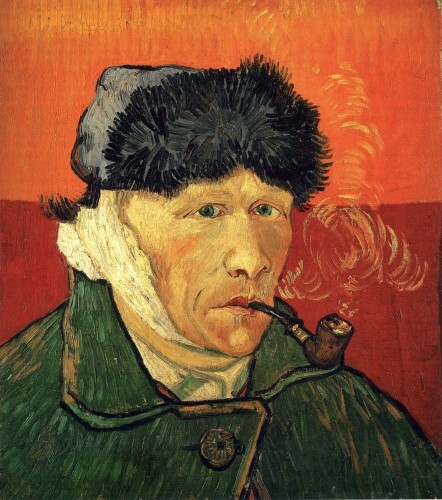 Your telling about Van Gogh was so interesting…. and all new to me. Watching that video brought tears to my eyes. I bet Van Gogh would say that what the animation makes the viewer feel about the work is similar to how he felt when he painted it. I mean I think he and other artists must be in living connection with their subject when they paint. I can’t say this very well, because what I’m trying to say is more of a sense I have….not very easy to put into words. Thanks! I shall pass it on. Tomorrow when I am painting, Lydia, I am going to imagine my subjects animated and REAL! Thanks for the insight! It is nice to think VG found peace and comfort in his painting that he could not fully connect with in his religion. His creative facility is nothing less than miraculous! Thanks so much for sharing Kirby. I had never thought that VG’s painting gave him something his Christianity did not provide. Thanks for the insight, Robert! Thank you, Kirby. Great information and the video was fun! Thanks for following the blog, Sandy! It is an honor to have an artist read it! It’s sad to think how often genius is connected to mental illness. 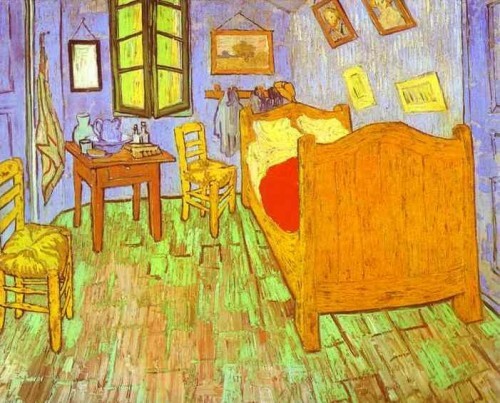 Tho, Van Gogh was always lucid when painting. No one could paint like that without all his faculties. The many paintings he left behind are testament to more lucidity than mania. God! I love him! Me too Margo. My heart skips a beat and I can’t quite catch my breath when I see a van Gogh! Thank you, Kirby, for a fresh, new perspective on Master Van Gogh. And your eponymous Lu has fashioned a lulu of a video as well. Thanks again. Clever, clever, David! You always have unique comments. So interesting! The myths maybe more interesting than reality. Whatever maybe the truth , he remains one of my favorite impressionists and historic portrayals of an artist. Kirk Douglas and his film be dammed. I so enjoyed these paintings coming alive! Thank you dear Kirby for sharing your skills with us! Interesting since we’ve been to Van Gogh museums in Aix en Provence, Amsterdam, and even his asylum in St. Remy. It really isn’t a myth that he had mental/manic issues, but I’ve never heard that he “threw paint at the canvas”. The fact that he painted 900 paintings in 10 years is truly remarkable, since it translates to a painting every 4 days. Those of us trying to practice the principle of “a painting per day” could outshine him, if only any of us had the remarkable talent he did or honed our skills as religiously as he did. I always enjoy your blog. Thank Lydia Pettis for acquainting me with it. This is interesting. Thanks for sending it. I know NOTHING about art except what I like and don’t like. Hope you are doing well. Let me know if you come my way. Would love to see you. I loved my Provence workshop and walking in Van Gogh’s steps! dear Kirby. that video was great. Thanks for this. Saw some van Goghs in Edinburgh this last summer. I was chatting with a good friend of mine that lives in San Diego the other day about Art blogs, and stumbled across Kirby Kendrick’s Art Blog. We recently launched in San Diego, and thought it might be cool to connect with some local bloggers like you. We would love to send you to an upcoming Art class (on us) to write about your experience and share with your audience! For context, I work for CourseHorse, a company that makes local education more accessible, and some of our most popular classes are Art classes.